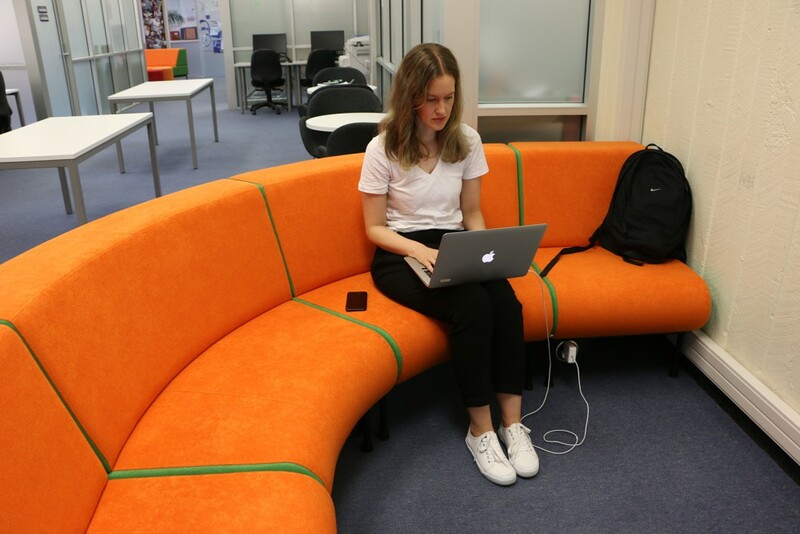 Towards the end of 2017 Instinct Furniture’s signature seating range, MEMPHIS, was introduced to two University of Auckland sites. 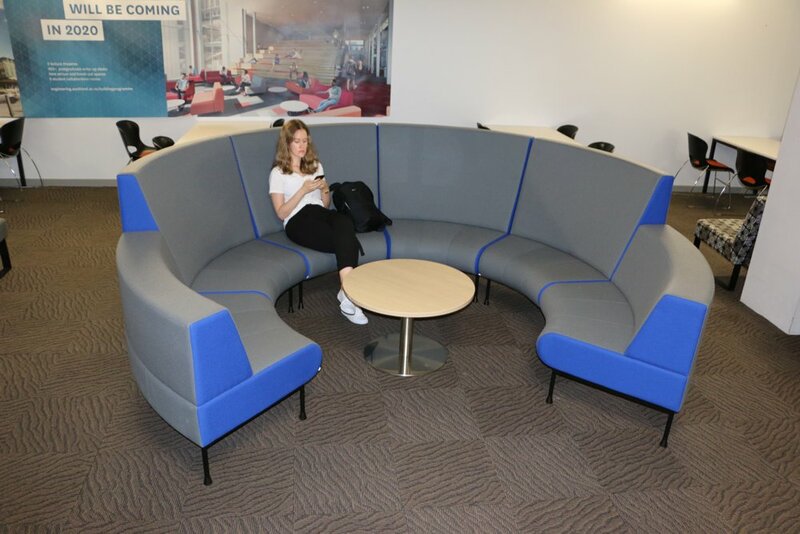 At the University’s Faculty of Engineering, Paul White, our Director of Design, met with Faculty staff to discuss the revitalising of student seating in the common areas. 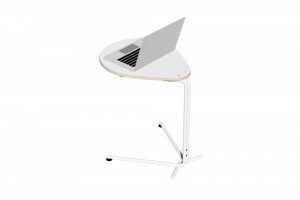 In response, Instinct Furniture planned the deployment of its MEMPHIS Seating range accompanied by SPARROW Laptop Tables and T4 Low Tables. 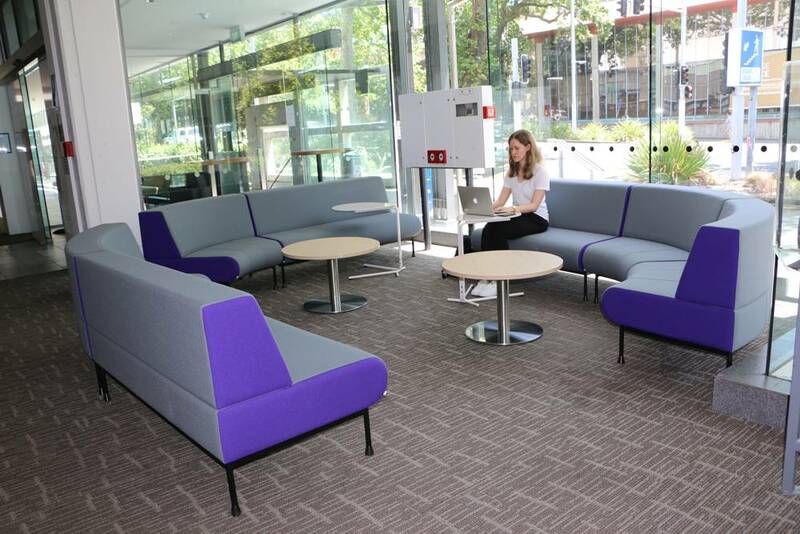 MEMPHIS configurations were purposed to each space providing inviting, relaxing settings able to support both individual and informal learning. Students were invited to give feedback and recommendations towards the final design. 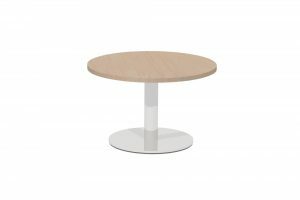 A MEMPHIS Radial pod utilising the high back option for increased seclusion; teamed with our T4 LOW Round Pedestal Table. 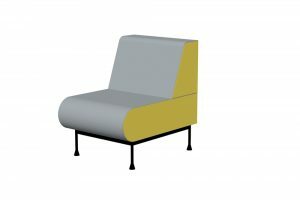 MEMPHIS seating modules combine to form comfortable bays. 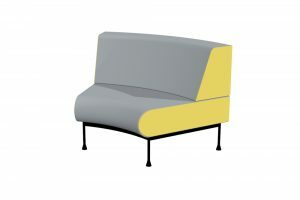 MEMPHIS Seating range — versatile, colourful, and robust. 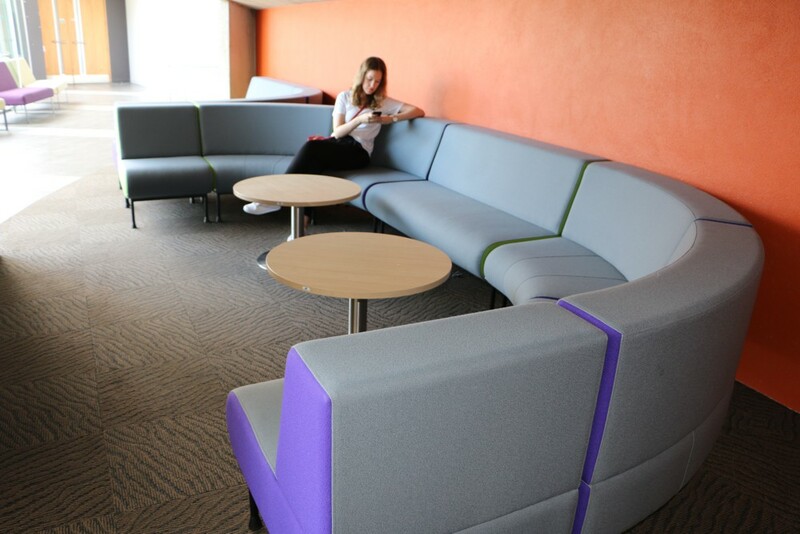 MEMPHIS Seating forms a cosy alcove in the busy Engineering School foyer. 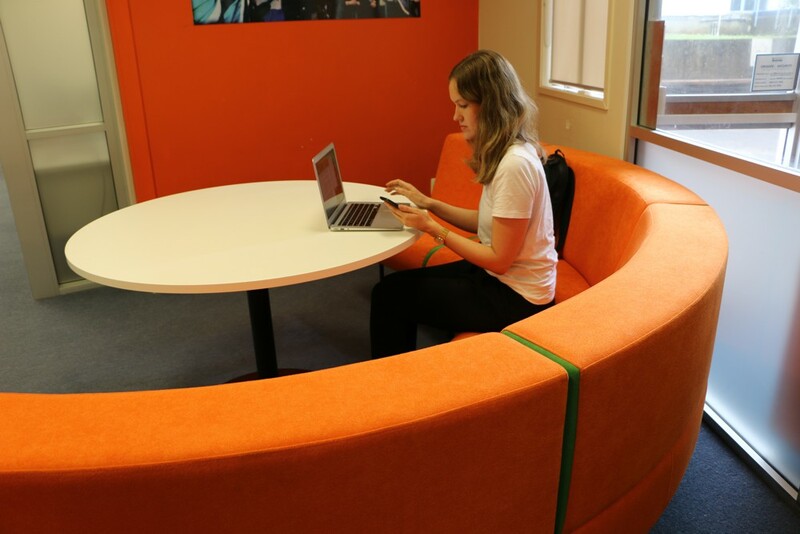 Seen here with SPARROW Laptop Table and our T4 LOW Round Pedestal Tables. 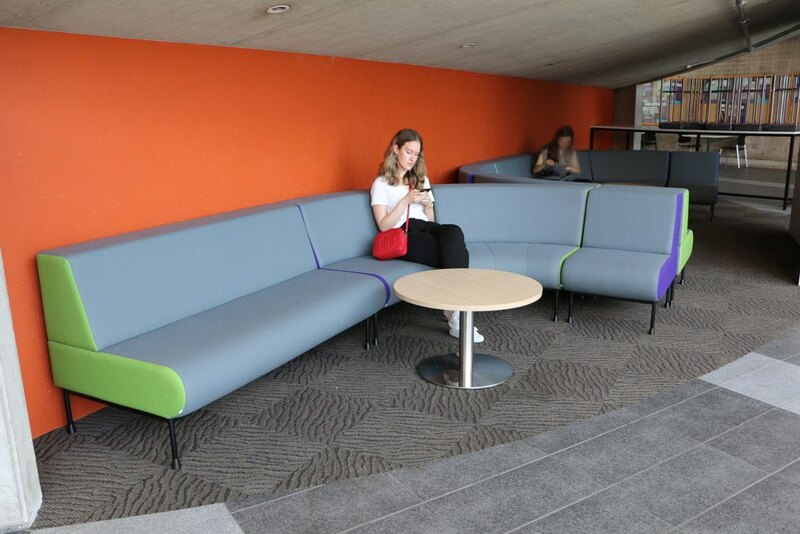 At The University’s Faculty of Education, Raymond Dixon, Facilities and Services Manager chose MEMPHIS seating in bold orange and green livery. 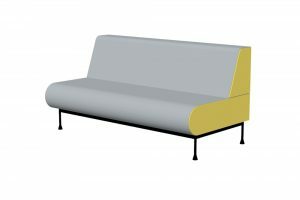 MEMPHIS Seating arranged in a half circle adds a new and inviting dimension. MEMPHIS Radial Ottoman grouping, fitted with our handy PIXEL Power Button, provides readily available power and USB outlets. 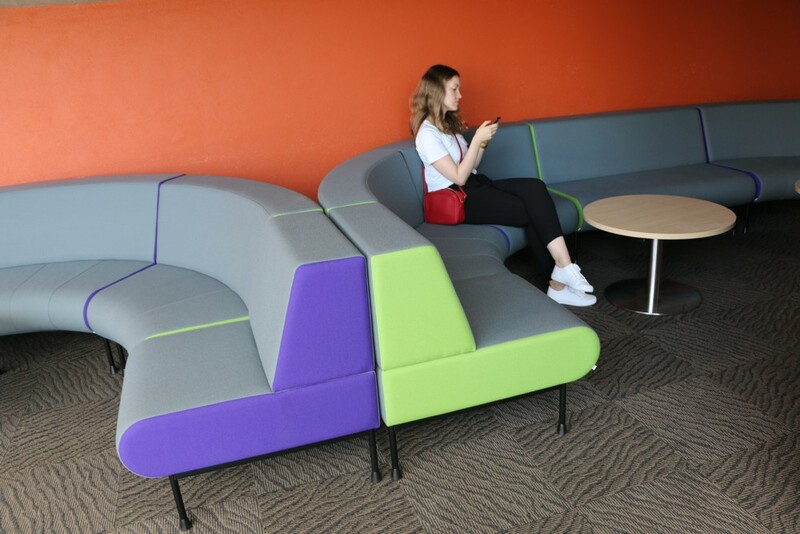 MEMPHIS Seating, now deployed throughout the two Auckland University sites, provides maximum versatility, delivering a great choice of places for students to learn or relax — all in the distinct, colourful and confident MEMPHIS style.